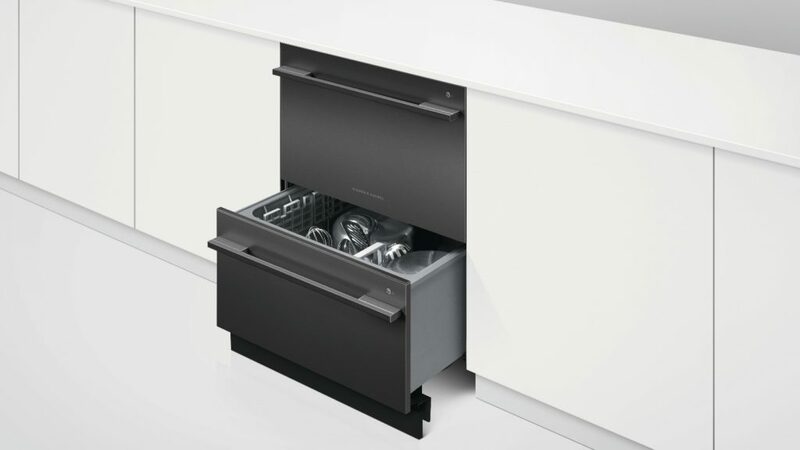 Following feedback from architects and designers, using black and darker stained timber finishes in their kitchen projects, Fisher & Paykel has introduced its Double DishDrawer in Black Steel. It features a black brushed steel front panel with black anodised aluminium handles and buttons. Featuring two independently-operating drawers, each provides a half load function. The Black Steel double Dishdrawer complements Fisher & Paykel’s Black Steel French Door Refrigeration and its latest range of black built-in ovens. Design director of London Contemporary Andrew Dunning chose the Black Steel French Door Refrigerator, as one of his top three products from the December issue of Kitchens & Bathrooms News.